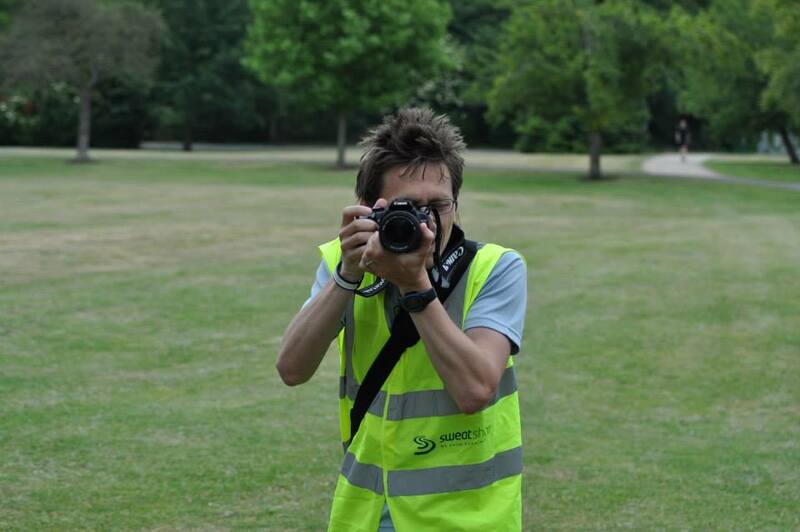 Event 45 marked another volunteering-only parkrunday for me and after the previous week's session on the timer, this week I returned to something a bit more familar - barcode scanning. Half-way through scanning, my daughter decided that she would like to scan a few barcodes so I handed the opticon barcode scanner over to her for the rest of the stint. Before that, I had a frustrating session as photographer. I positioned myself over in the formal garden section of the park and tried to capture a few shots from an elevated position next to the library. I hadn't been using the DSLR camera enough in recent times and the lack of familiarity with the settings meant that I produced some pretty poor results. I'm just glad that there were also some decent photographers out there. 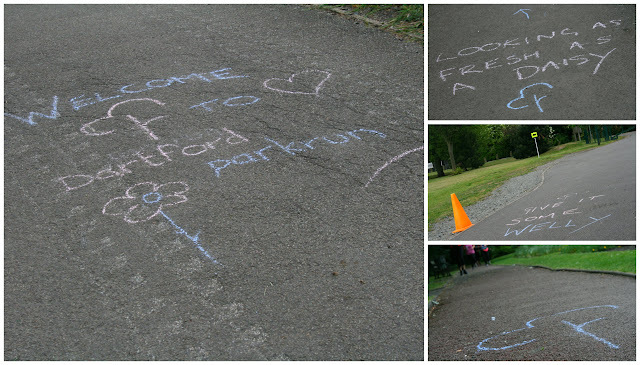 I continued the theme of writing motivational messages in chalk around the course and they seem to have been well received by the runners. I've been trying to avoid repeating the same ones week in, week out so for this event I went with 'Good Morning', 'Looking as fresh as a daisy' and 'give it some welly', as well as the standard 'Welcome to Dartford parkrun' message near the start-finish area. That was all after arriving at 7.10am and doing a half-decent circuit training session with Adam (Richey was also there and filmed us doing some walking lunges which wasn't embarrassing at all). The workout consisted of focussing on three broad areas - upper body, core, and lower body. We worked our way through the sets and varied the exact exercise each time around. For example, with the upper body, we alternated between pushing and pulling movements each time a new set came around. It was great fun, although the following morning my glutes were strongly disagreeing with that description!